If you are planning your first trip to Malaysia, I suggest you start with Kuala Lumpur. Soak in the vibe of the city for the first two days and then proceed further. If you have been there before, head straight to Selangor, like I did. Also called the gateway of Malaysia, Selangor sits on the west coast of the peninsula, encircling the capital Kuala Lumpur. It shows you an adventurous, wild side as well as little-known historical aspects of Malaysia. Who books a paragliding adventure on the first morning, especially after a night flight? My friends and I did. We soared, bird-like, above the city, and it opened our eyes to a side of Malaysia that is not much known to the world. Did you know, for example, that Selangor has hosted three major paragliding competitions, Malaysia Accuracy Open, Paragliding Accuracy World Cup and Malaysia Open Cross-Country. But before making our way to Kuala Kubu Baru Paragliding Club, we stopped by at the old town market to enjoy a local breakfast, composed of roti canai (flatbread), Mee Goreng (stir fry noodles), a cup of teh Tarik (hot milk tea) and kaya puffs (sweet pies with interesting fillings). After breakfast, we took a quick walk to soak in the artistic and colourful vibe of this unpretentious town. Watching fresh kaya puffs being rolled out inside a bakery kitchen was a delicious experience. We reached an open stadium and were warmly met by a group of paragliders. “It is a bright day, the weather is favourable and we must start soon. Change into your sports shoes and let’s drive up to the starting point,” we were told. The uphill drive to Bukit Batu Pahat at 1400-foot above sea level was thrilling and pumped us up for the final flight. We were four of us and each was paired with a trained instructor. The nervousness before the start was evident on my face. Noticing it, my instructor assured me that, “We are all trained in New Zealand and it is one of the best and safe places to do this adventure. All you have to focus on the first run and the jump, I am there to take care of the rest.” Thankfully, I managed to do as expected and we flew smoothly at a speed of 100 to 120 km/h. That feeling to be able to fly like a bird is surreal for sure. The aerial view of Kuala Kubu Baru, adorned with lush greenery and water bodies was a balm for my urban soul. Note: I like tandem paragliding because it keeps me free from learning the nitty gritties of controlling the parachute. Until the 18th century, KKB, as the locals call it, used to be a mining town. Then floods wreaked havoc upon it, and the place had to be completely rebuilt. 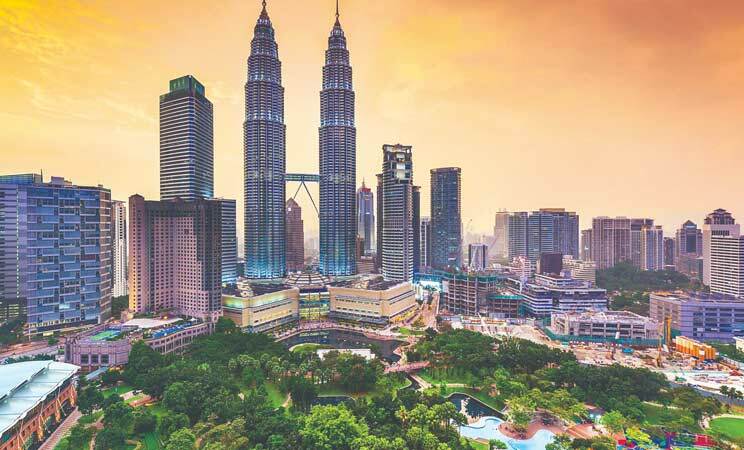 A pleasant one-hour car ride from Kuala Lumpur, it is now one of the top places for water sports, rock climbing, river rafting, bungee jumping and paragliding. In here, you wake up to the chirping of birds and the gurgling of streams. For the first two nights, we stayed in a beautiful eco-friendly resort, ‘The Sticks’ in KKB, close to the famous Fraser’s Hill. The warm and hospitable owner ensured that we had a great and memorable jungle retreat, with superb fresh food served at every meal. Overall, KKB has lots to woo you—breathtaking views of the Sungai Selangor dam, Fraser’s Hill, picturesque waterfalls, hiking trails, creative mural paintings and local delicacies. When in Klang, do yourself a favour and book the Royal Klang Heritage Walk, a free guided walking tour. In the space of three hours, you’ll learn all there is to know about the history, tradition and custom of the town’s century-old legacy. We started our walk from the Sultan Abdul Aziz Royal Gallery. 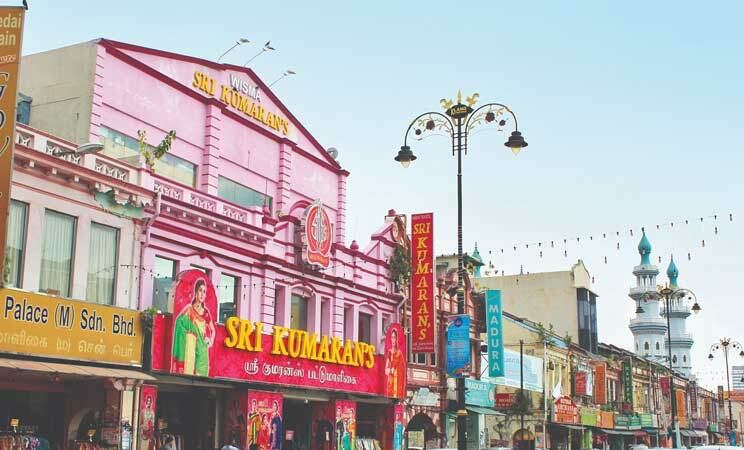 From there, we covered 10 other significant landmarks of the town, including the former Chartered Bank (now Chennai Silk Sarees), Royal Klang Club, Alam Shah Palace, Church of Our Lady Lourdes, and Victorian styled Klang Fire Station. This walk was very enriching. The artefacts, well-preserved historical buildings and places of worship spoke of the vibrancy and co-existence of many diverse cultures. If I had to choose, the fire station would be my most interesting stopover as I had never been to a fire station before. A dedicated room that was done up like a gallery and touched upon the history of the building, was fun to walk in. An elaborate Malaysian lunch, which a touch of Indian flavours, rounded off the insightful walk. A visit to the colourful Little India market is also interesting. The street is flanked with interesting vegetable and grocery stores, traditional Indian attires and such. I would have loved to see the palace where the current Sultan of Selangor still resides, but it is not open to the public and you need special permission to get inside. This trip to Malaysia offered a unique mix of adventure, culture and nature. While Kuala Kubu Baru provided a beautiful contrast from the hustle and bustle of Kuala Lumpur, Klang is truly a place for people who love taking their time to wander and to explore hidden treasures of history. If you wish to do something unique in Malaysia, chances are, you’ll find it.